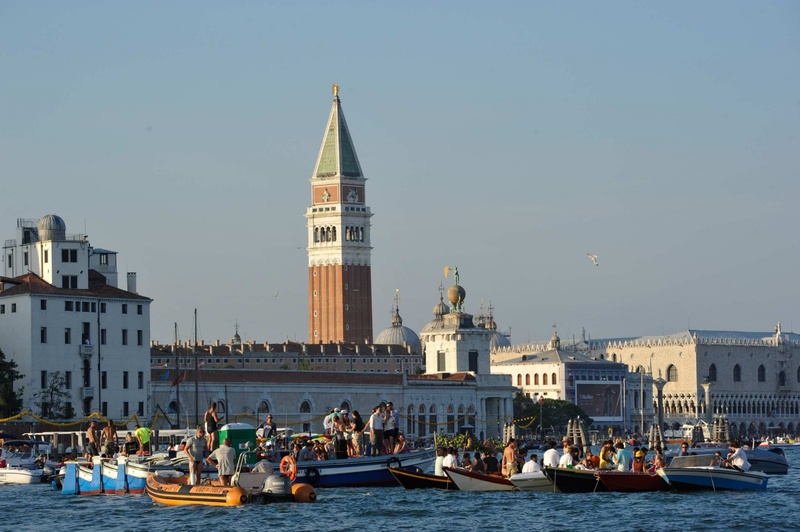 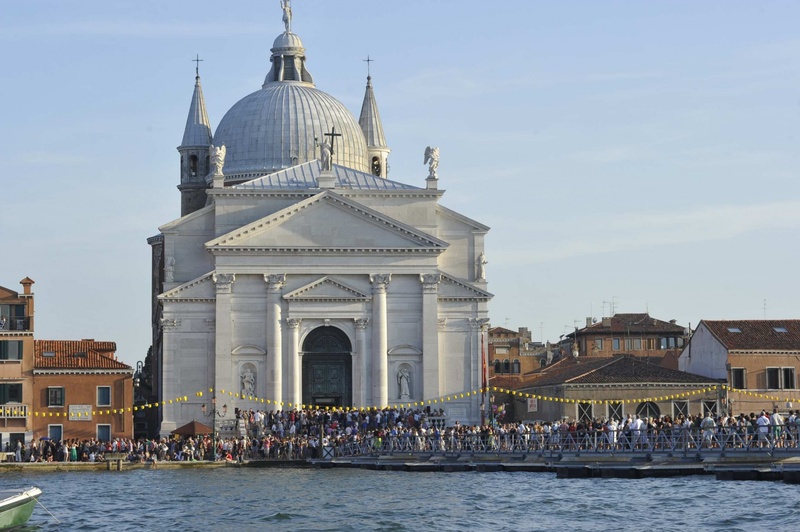 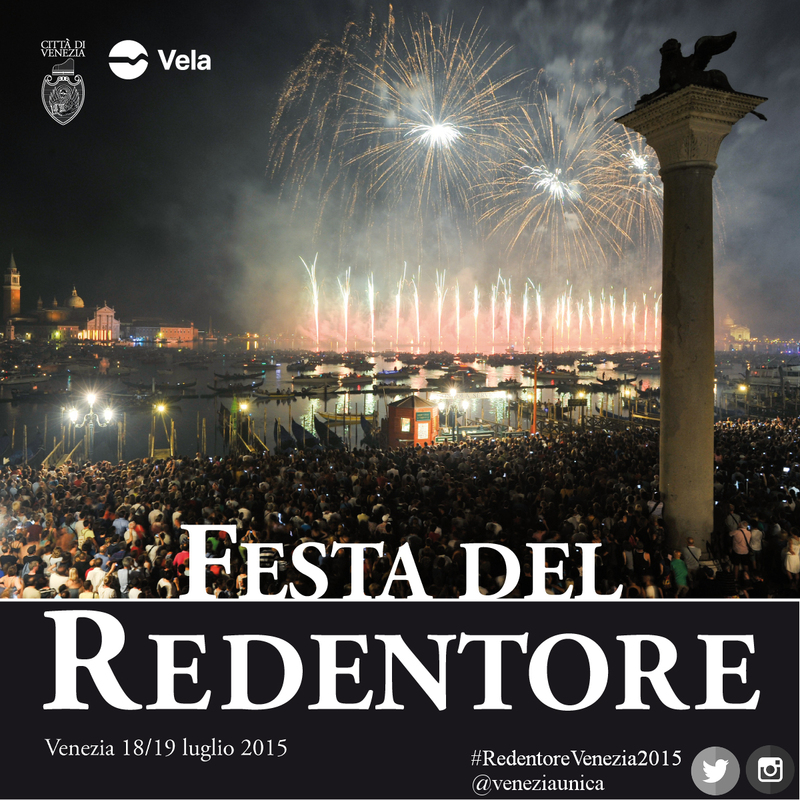 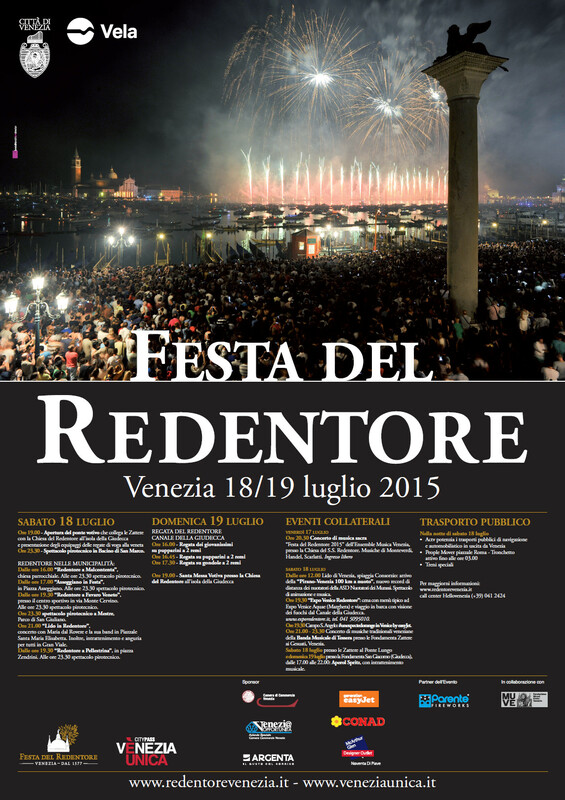 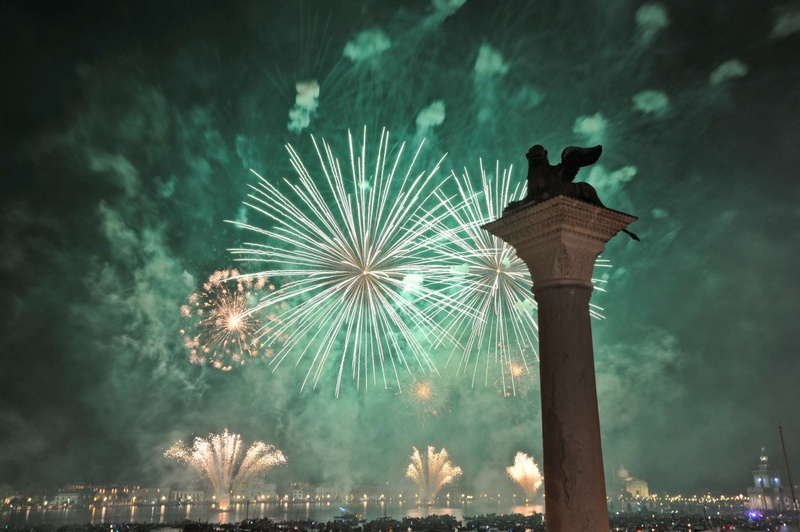 LIDO DI VENEZIA: at 9:00 pm “Lido in Redentore” Shows and music. 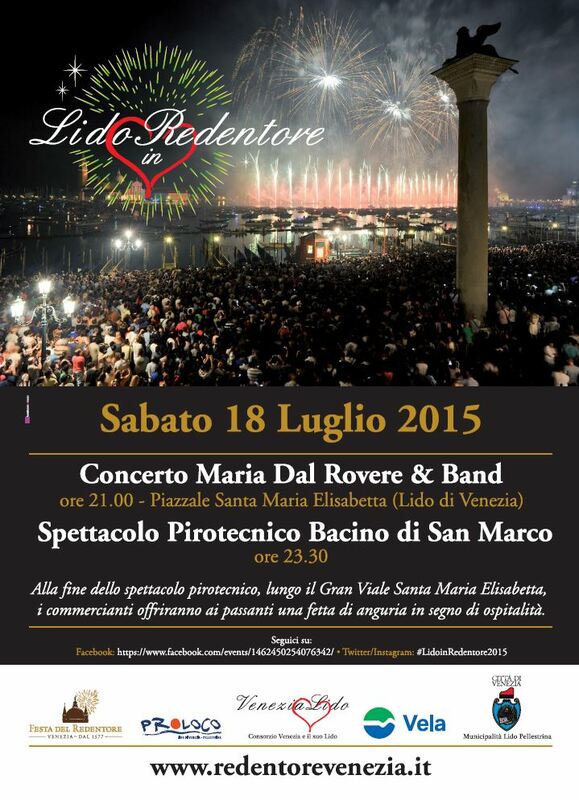 Following at 9.00 pm concert “Lido in Redentore” with Maria dal Rovere and her band at Santa Maria Elisabetta square at Lido. 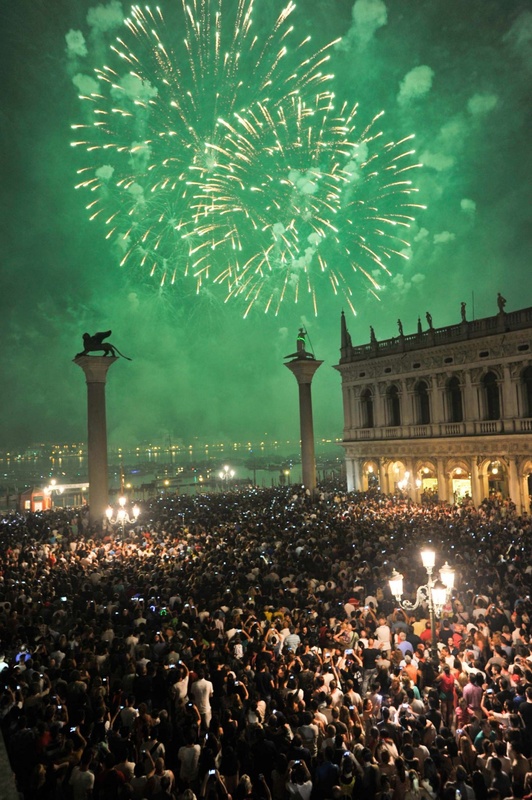 Free attendance. 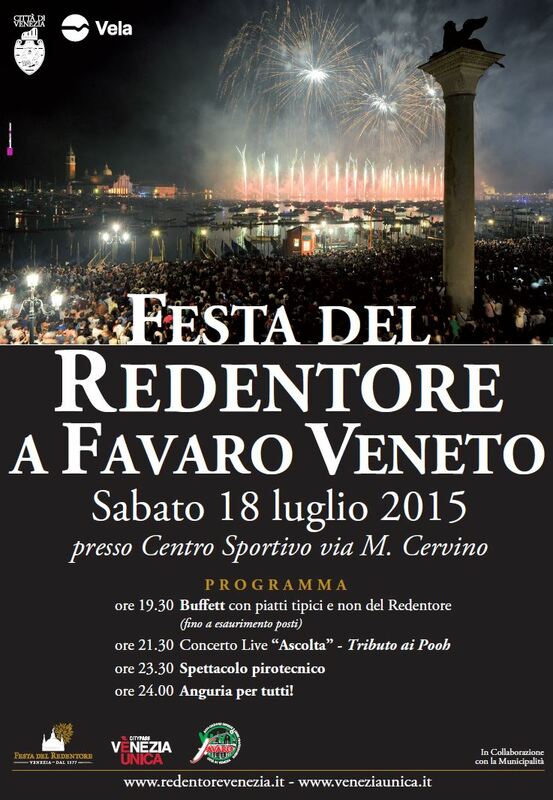 And in Gran Viale, entertainment and water melon for everybody. 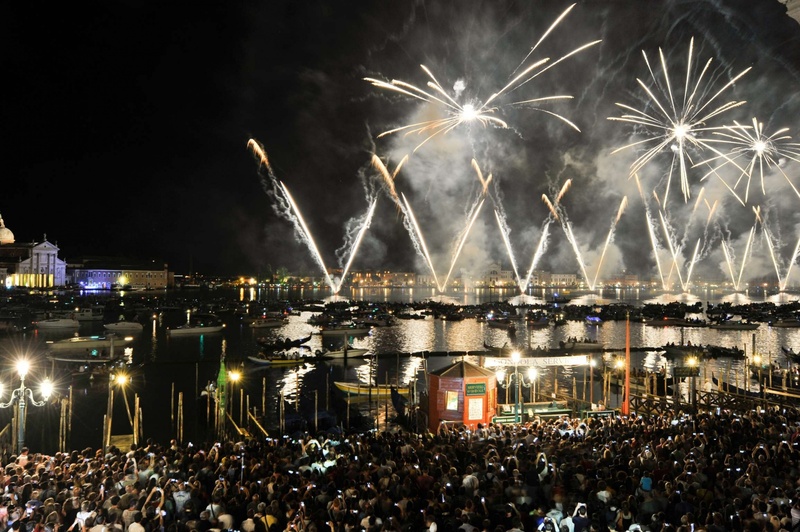 - From 12:00 am, Lido di Venezia, Consorzio Beach: arrival of “Pirano-Venezia 100 km a nuoto”, new swimming record by ASD Nuotatori dei Murassi. 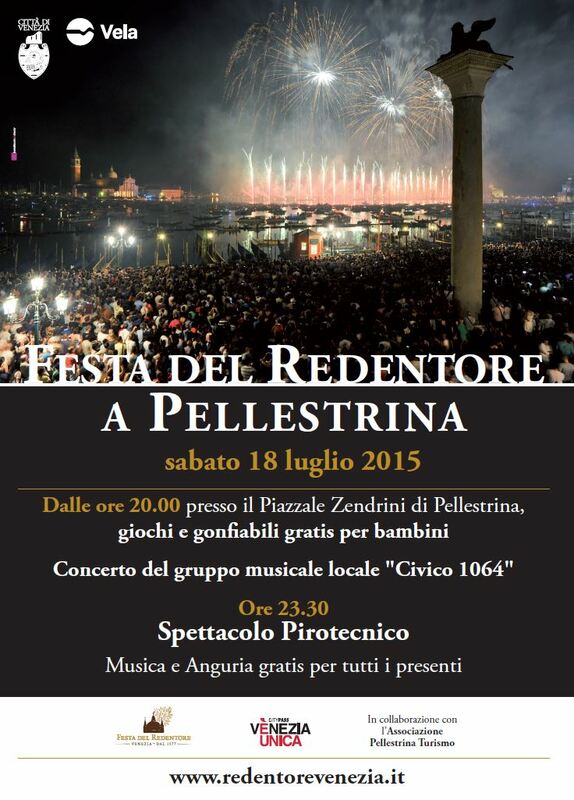 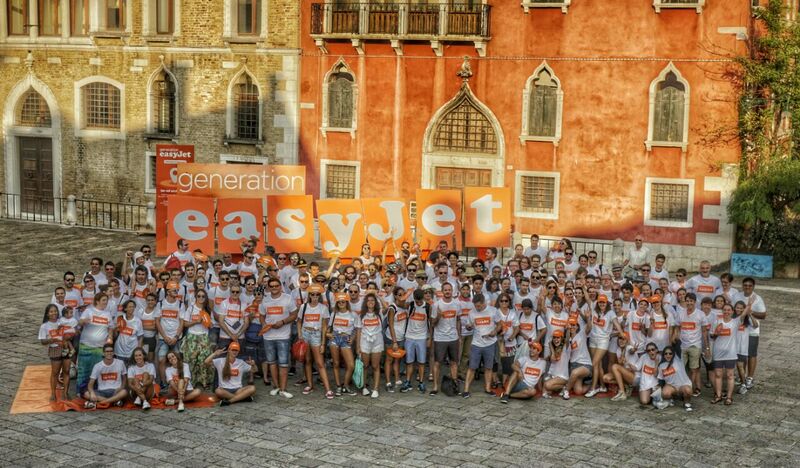 (last service from piazzale Roma and Tronchetto) from Sunday, July 19.